IndyCar driver Troy Castaneda stops by K1 Speed Seattle with his family while visiting the Seattle area today. Troy recently stepped into to IndyCar racing after having much success in the Rotax karting series, most recently taking first in the Rotax national series, finishing second in the national championship event, and taking 5th in the world Rotax finals. 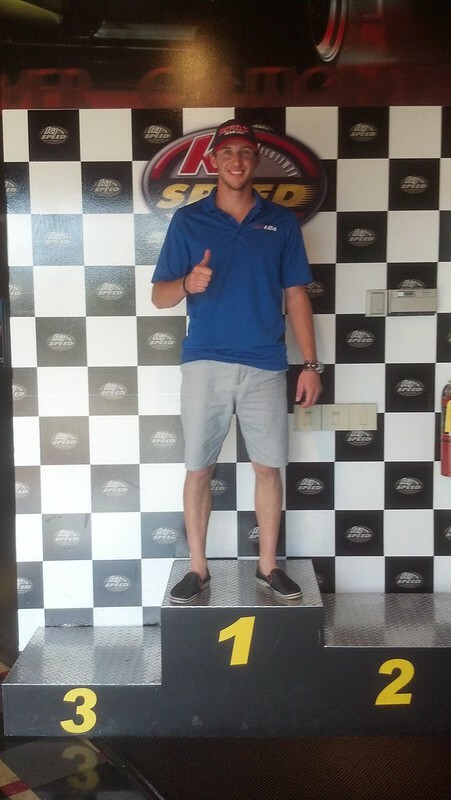 Troy demonstrated his skills in kart racing by jumping onto our Seattle track for the first time and coming to within 2 tenths of a second from beating the track record.